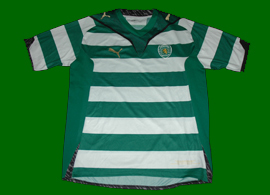 The decade ended with a Sporting home shirt that was nicknamed "bib" by the supporters. 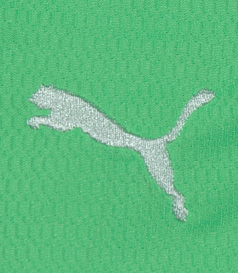 Too innovative by half, the strongest point of contention was that it does not have one single hoop. 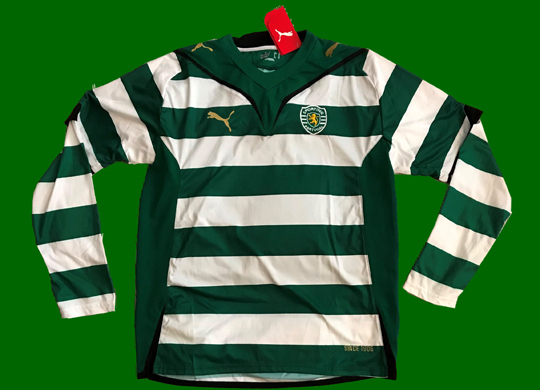 The stripes are cut off on the sides by green fabric, so instead of hoops the shirts actually have white rectangles inserted in a green background. 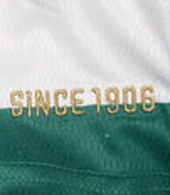 In practical terms this was not very noticeable on the shirts once worn. 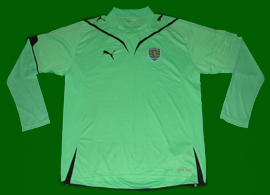 The Stromp shirts were equal to those of the previous years, with the different that in 2008/09 they did not have sponsor, while those of 2009/10 received the tmn blue. 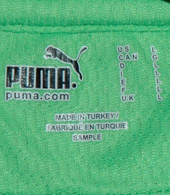 The away shirts were in shocking lettuce green, colour already used in some away kits of the beginning of the decade. 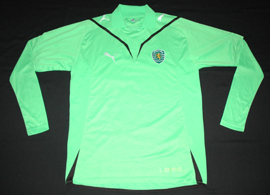 The main sponsor in the home and Stromp kits was tmn, while for the third shirts it was mostly meo, part of the same media group. 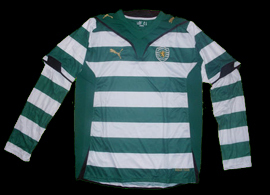 Signed by the team and offered to Francisco Lemos, former Sporting athlete and Badminton player, on his 70th birthday. 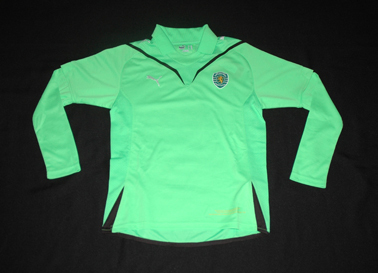 2009/10, long sleeve prepared shirt of Fabio Rochemback. 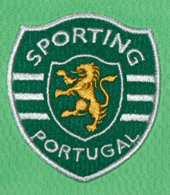 2009/2010. 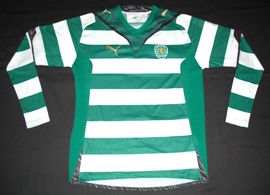 Matchworn by Tonel 13 May 2010 against Benfica in Luz. 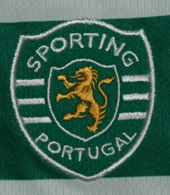 Sporting lost 0-2. 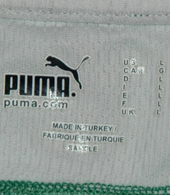 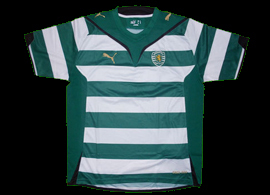 Click here to see all the Sporting Lisbon shirts from 2010 2011.